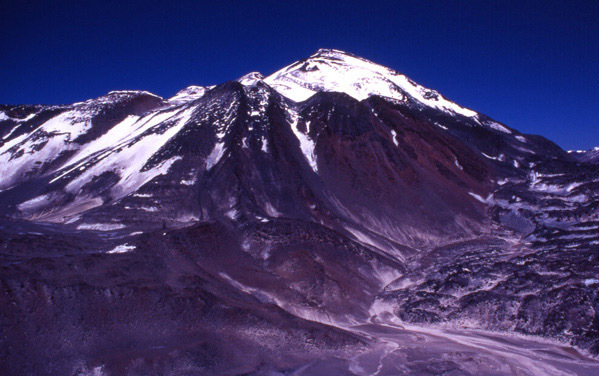 At 6893m Ojos is the world's highest active volcano and is the second highest peak in the Andes. SRTM data from the year 2000 has apparently confirmed (at least in our eyes) that Ojos del Salado is higher than Pissis, though we suspect it's height is closer to 6870m than to the figure given here. It was first climbed by a Polish expedition in 1937. The crater is blown open to the north/northwest, but there are still active fumaroles and a strong smell of sulphur on the summit. Ojos del Salado is normally climbed from either Copiapo on the Chilean side or Fiambala on the Argentine side. The Chilean sides is dry dusty, busy but short. The Argentine side is much more scenic, and has running water at camps, but is a long way! Ojos del Salado appears to have the World's Highest Lake on its eastern, Argentine, flank. At 6390m there is a permanent c.100m diameter crater lake (see photo below). 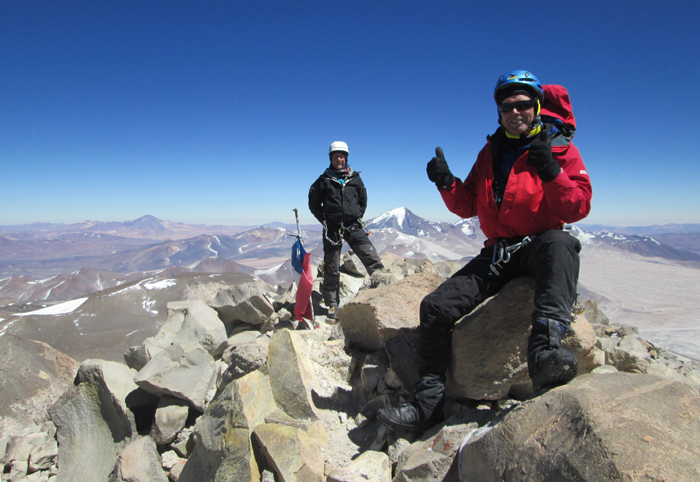 On the summit of Ojos del Salado, March 2016. 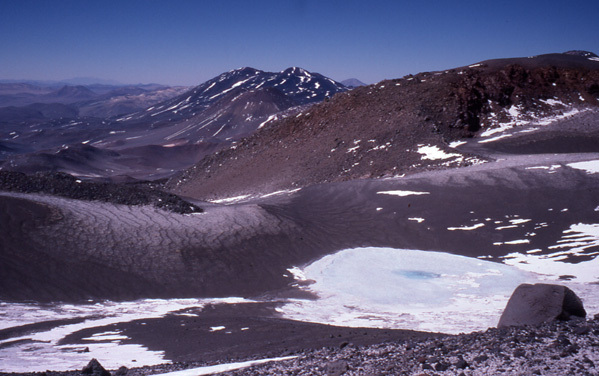 At 6390m on the eastern side of Ojos del Salado there is a permanent c.100m diameter crater lake. This appears to be the World's Highest Lake of any size, but it's depth is unknown, possibly as little as 5m or 10m . It is located at approximately 68º32'W 27º07'S. 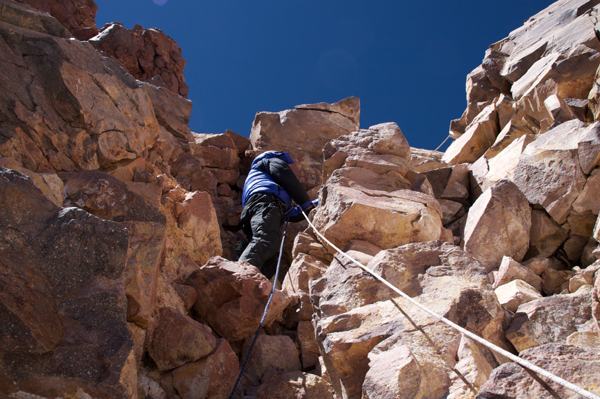 The chimney pitch at 6850m on Ojos del Salado. We organise guided ascents of this peak regularly. For details of how to climb Ojos del Salado from either Chile or Argentina please see our guidebook.